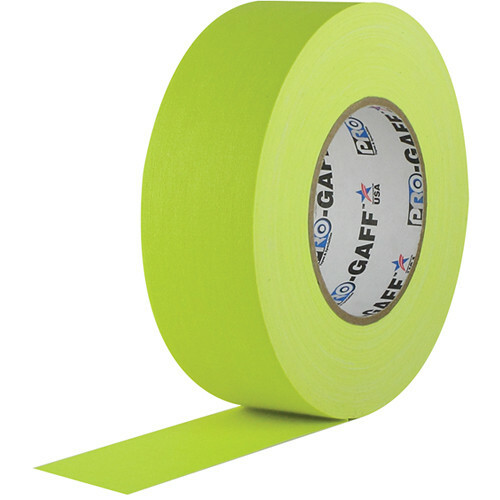 This roll of fluorescent yellow Gaffer Tape from Visual Departures is 2" wide and 50 yards long. It can be used in any application where you need a highly visible, hand-tearable adhesive tape that leaves no residue when removed. Box Dimensions (LxWxH) 5.8 x 5.7 x 1.8"